Throughout my career I've the opportunity to coach athletes and teams.10 years ago I was the other side of the fence plying my trade as an athlete on a sports soccer scholarship with UCD.To this day I am very grateful for that opportunity and it really opened the first door for me to the professional side in sport,health and fitness. Most of my work I do now is 1-1 work with all sorts of individuals.As for the individual itself I love having a total variance of clientele in front of me on a daily basis.From busy housewives,high performing CEOs to athletes. My youngest client is 13 and my oldest is 75 so its safe to say that I have all shapes,sizes,ages and levels coming into me every day. 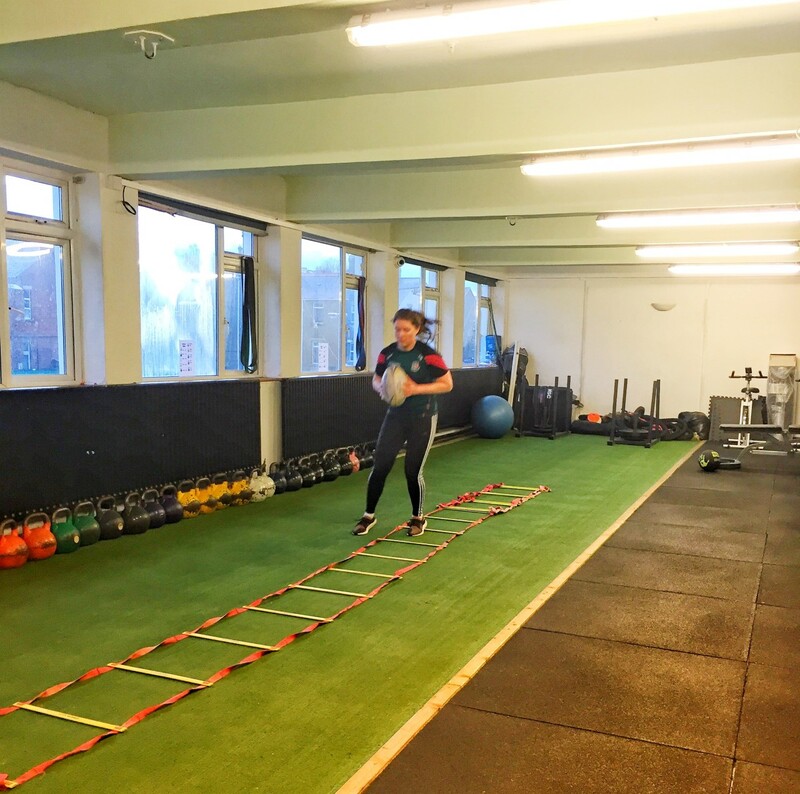 At present I coach and train both GAA and rugby teams along with a handful of athletes on a 1-1 basis.Most players and teams that train under myself initially come in at first thinking they need a ‘sports-specific’ gym programme for their sport. My answer to this is always the same-While I would recommend specific training areas for certain sportspeople, you need to be assessed correctly first while being able to master the basics. If you want to become a better GAA/Rugby/soccer player then you MUST train your sport first.-If its a game of skill you MUST put the work in on the training pitch. The basis of hitting the gym is to bulletproof your body so you reduce injuries, improve movement and performance and to give you more confidence on the pitch. All the gym sessions in the world may not make you a better player in your sport without training it.However,over the last numbers of years we really have seen a huge shift on what goes on behind the scenes such as gym sessions,recovery right even down to how to improve your mental/mindset fitness-these are all the extra small percentages that do really count. The best first step before any program is to get an assessment done and figure out which areas need the most attention.Most athletes I work with initially have never really done any specific assessment. If you don't have access to a half decent coach who is going to assess you then go watch this video and check out a basic mobility test.These are the most common areas that are generally weak: a loss of range and extremely tight shoulders, ankles, hamstrings and hip flexors along with weak and inactive glutes. Ideally you should spend some time in the gym particularly around your warm ups working on tight areas and to mobilise the primary joints to function better as a human body, let alone in a given sport. 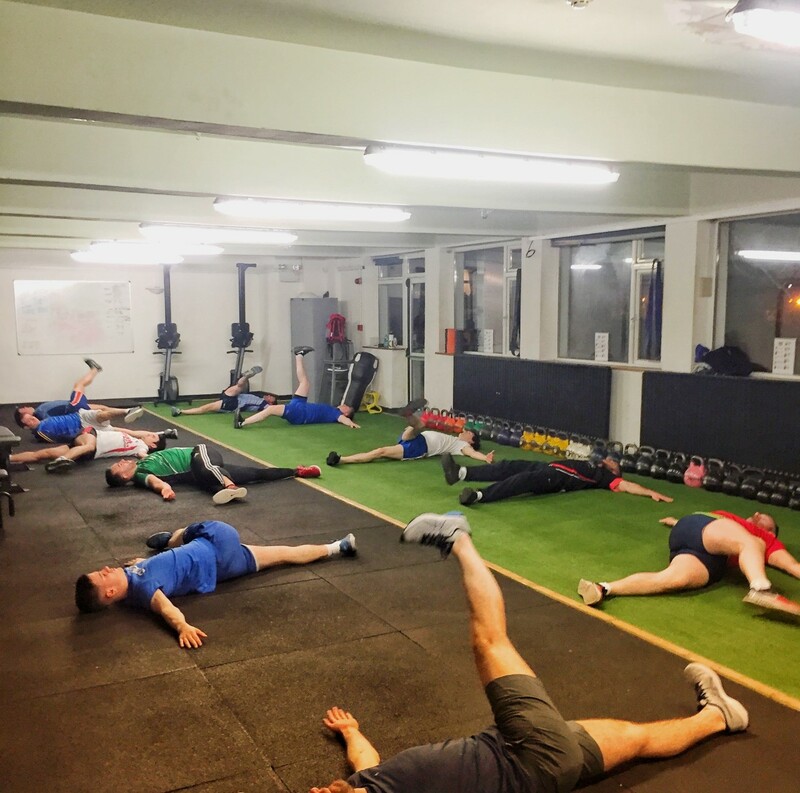 Below is a GAA I team going through an 8 minute warm up flow that generally works on some mobility work mostly and lots of glute activation work.You can find a lot of those movements here in our warm up video. Strength,speed,power and agility are some of the areas that will fall into this bracket.The timing of your season is going to be quite important for when you train a particular goal.Along with that the typical layout of your week should match and work around the main event-your gameday! If you are looking to get stronger for your sport then you need to be working with exercises that will give you the biggest bang for your buck. Generally speaking, you should be working on a strength program during the off-season. Ideally I would work off a 20-40 minute strength session after a 10-15 minute structured warm up. Work off a 4-8 week off season plan while testing and retesting where you are at. Big compound exercises like squats, deadlifts, overhead pressing, and pulling are something you really should have locked down. 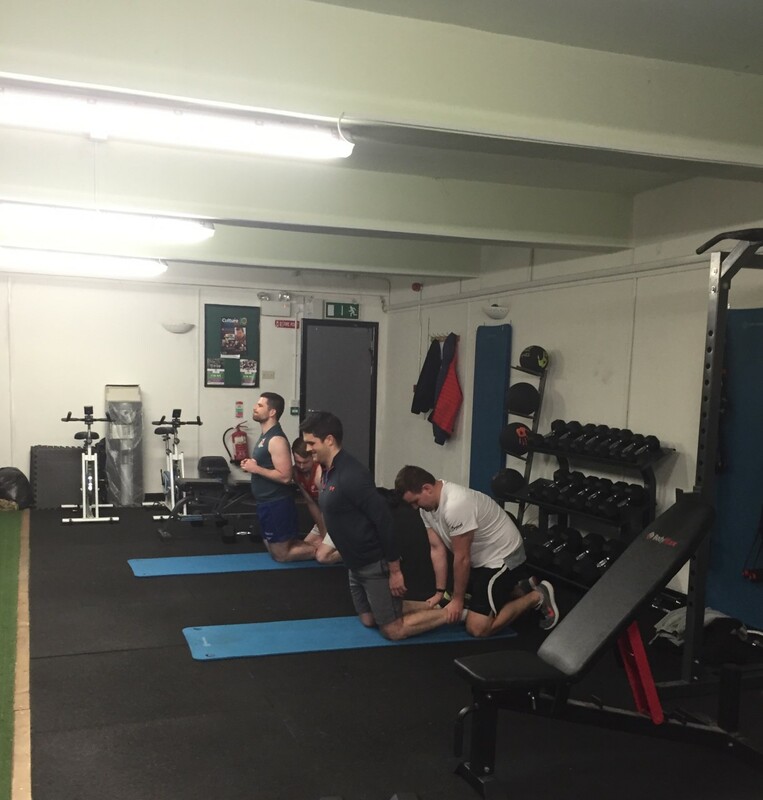 Here is a quick snap of a few players from a Rugby team I train working on some GHRs. Posterior chain work is vital for any athlete and the exercise they are doing below is something I suggest for you to program in. Another hugely important area that really are key attributes to a well rounded athlete.A lot of the time we need to train for these specific areas.Rugby and Gaelic all involve a lot of acceleration and deceleration, but many gym programs don’t reflect the two patterns. Strength work is important for your program, but speed,power and agility work needs to be dialed in at a certain point of your season too. Ideally you need to prioritise a time in the week when you are at your freshest particularly when working on developing power and speed.It could be done after a strength cycle in the off season and it’s always good to be working on it throughout the season too. As for agility drills I feel this is something you can easily tie into a session any time of the year.Pre season or even during the season is all good.Specific sports based drills are good ideas here so even bringing in a ball for some movement specific game based drills would be ideal. Most games will fall on your weekend so perhaps the middle of the week is OK for a speed and power session.As for agility work once its really nothing too taxing I am confident saying it could be really programmed any time. Its all well and good knowing some of the information now but when and where do you dial in certain areas?I came across this template that really is quite simple and easy to understand.This can be something to work off if you haven't a clue where to start. Have a big emphasis on improving your mobility first-If you start loading weight on top of a dysfunctional movement patterns then you’re asking for trouble. Your recovery is just as important.Adequate fuel,rest and recovery is just as important as a good heavy strength cycle-if not.perhaps more important! Its never one size fits all.Its extremely time consuming to look after a team the right way.Different players do need certain tweaks and changes.If you unsure what you need my best advice is to source a trainer who knows what you need.